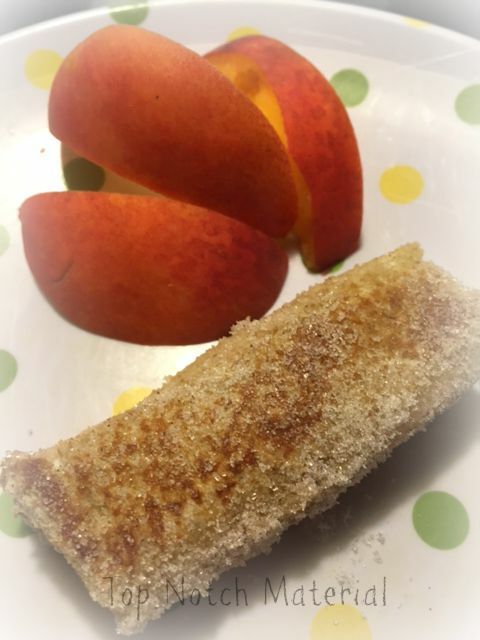 Top Notch Material: Peach & Cream Cinnamon Roll Up with Nature’s Harvest® Whole Grain Challenge! 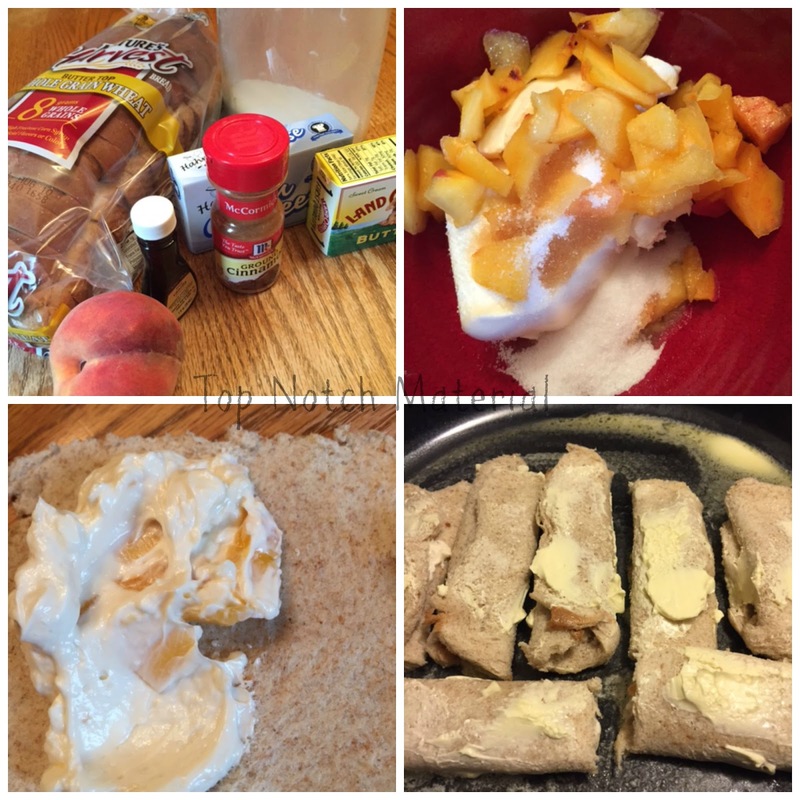 Peach & Cream Cinnamon Roll Up with Nature’s Harvest® Whole Grain Challenge! 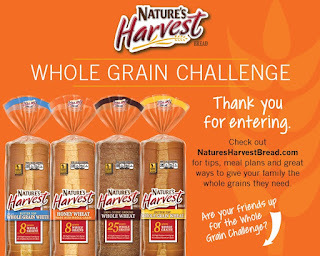 My boys (or I) do not eat enough wheat, I totally and freely admit that, so I jumped at the chance to participate in the Nature’s Harvest® Whole Grain Challenge. In order for this to go over with my boys, I have to admit I need to add butter, sugar and cream cheese, but in the end I came up with a super yummy recipe that we will be keeping for a long time to come! Soften the Cream Cheese and add the Sugar,Vanilla and Peaches and mix together. We ALL enjoyed this recipe very much, and as I said, I will be making it again! 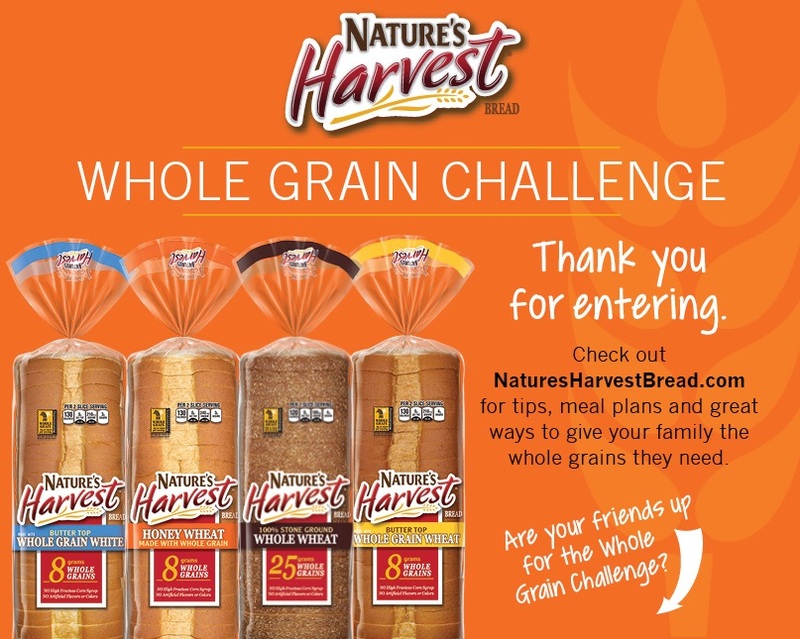 Do you want to take part in the Nature’s Harvest® Whole Grain Challenge? Now you can on facebook! Disclosure: Nature’s Harvest® provided you with a gift card and coupons for ingredients so that I could share my thoughts and information about Nature’s Harvest® bread with my readers. I have not been compensated for this post. Top Notch Material blog will always provide honest opinions, beliefs or experiences on products reviewed. We will only recommend products or services that we feel are of benefit to our readers. If you have any questions, please contact me at nursemommypaige@yahoo dot com. The disclosure is done in accordance with the Federal Trade Commission 10 CFR, Part 255 Guides Concerning the use of Endorsements and Testimonials in Advertising. I learned that it has no high fructose corn syrup and no artificial colors or flavors. I learned that it has at least 8 grams or more of whole grains in every serving. And no artificial flavors, colors or high-fructose corn syrup!! That's great! No. All of Nature’s Harvest products are free of hydrogenated oil and fats. I learned that this bread uses the entire grain to make it's bread not just bits and partss and that it is in its natural form and unbleached which makes it better for you. Hey, they also make buns! I'll have tip check at my grocery store for them now! I learned that whole grains are the entire seed of a plant. This seed is made up of three key edible parts – the bran, the germ, and the endosperm. I learned that this bread is a good source of Calcium & vitamins A, D & E.
I learned that there are at least 8 grams or more of whole grains in every serving. I learned it this bread has at least 8 grams of whole grains in every serving and it has no artificial flavors, colors or high-fructose corn syrup. I eat Nature Harvest bread all the time. It tastes the best. I love that it is made with whole grains and no artificial colors, flavors or high-fructose corn syrup. I learned that this bread is free of hydrogenated oil and fats! I learned Nature’s Harvest bakes at least 8 grams of whole grains per serving into every bread. I learned it has 8 grams of whole grains per serving. They have several breads to choose from and buns too. Have 8 grams of whole grain. 8 grams of whole grains per serving! Wow! I learned that it has No trans fat. I learned that its made up of three parts, the germ , the bran and the endosperm. Something I learned and liked - they are at least 8 grams of whole grains per serving in Nature's Harvest Bread. I learned it has no high fructose corn syrup, and I definitely like that. You can count on at least 8 grams or more of whole grains in every serving. There are 8 grams of whole grains! Nature’s Harvest bakes at least 8 grams of whole grains per serving into every bread and bun! I love it! There are no hydronated oils in this bread. I learned this bread has at least 8 grams of whole grains in every serving. Its so natural, I learned tons! Love that it has no high fructose corn syrup. I entered Essential Oil Bracelet giveaway. I learned that this bread has at least 8g of whole grains per serving. I learned that it has no high fructose corn syrup. I learned that this bread has at least 8 grams of whole grains in every serving and it has no artificial flavors, colors or high-fructose corn syrup. I like that. Thank you. I learned that it is so easy to make. I like recipes that is easy so the kids can help make it. BLUEBERRY SLOW COOKER BREAD PUDDING!!! I learned that all of their products are free of hydrogenated oil and fats. Hydrogenation, a process in which hydrogen is added to oils to make them more solid, is used by many in the baking industry to help make products moist, easier to slice and stay fresh longer. I am very pleased "Natures Harvest Bread" has no high fructose corn syrup, artificial flavors or colors. I learned that it has no trans fat and I love that. I learned that their is no high fructose corn syrup. I absolutely love the fact that it has no high fructose corn syrup. You dont see that much! I learned that their website has recipes and I'd like to try their French Toast recipe. I love that it has at least 8 grams of whole grains! So many varieties and no high-fructose corn syrup, artificial colors or flavors! I learned that it has no artificial flavors or colors!